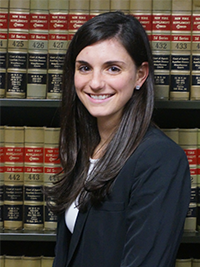 AMANDA M. ZEFI joined MDAF as an associate in 2015. Prior to joining the firm, Ms. Zefi focused her practice on trusts and estates, providing estate planning for individuals and families and handling complex estate administrations. At MDAF, Ms. Zefi specializes in the defense of municipal clients in cases involving civil rights, employment discrimination, and other personal injury claims.